customers keeping them in the loop. CodeBroker’s SMS marketing software requires no technical training or prior mobile experience. quickly created and deployed while maintaining quality control over all campaigns. product availability, and mobile coupons. and entertaining ways for customers to interact with your brand. Learn more about your customers through polls and voting. Enhance the customer experience through personalized SMS marketing services. 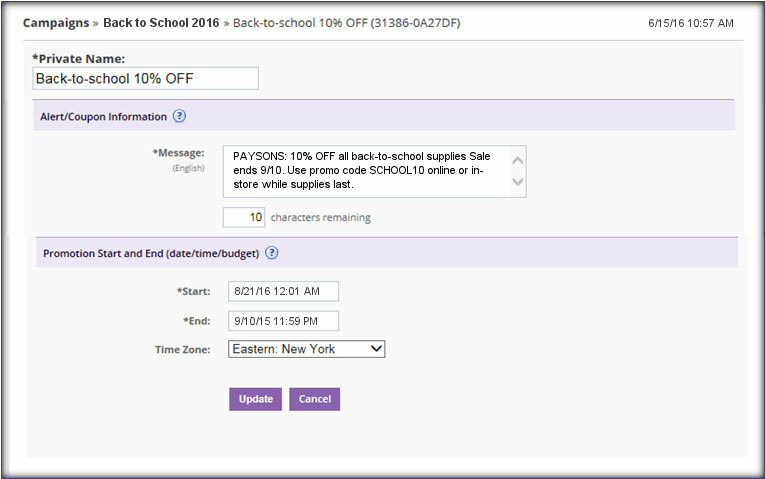 Existing CodeBroker retailer customers use Service Alerts to inform consumers when orders are ready, loyalty status updates, Rx alerts/order is ready, credit card balances, or when someone has purchased something on their behalf in the case of a gift registry, and more. 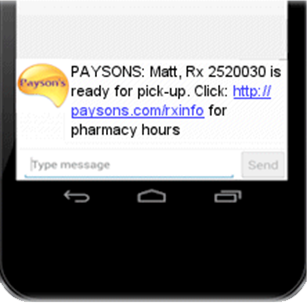 Messages can be delivered in both real-time (Your prescription refill is ready for pick-up) and batch (Congratulations! You just reached Gold level), whichever method provides the optimal customer experience. reviews, product specifications or additional online selections while they shop in-store. or short URLs to obtain additional information improving their in-store experience.